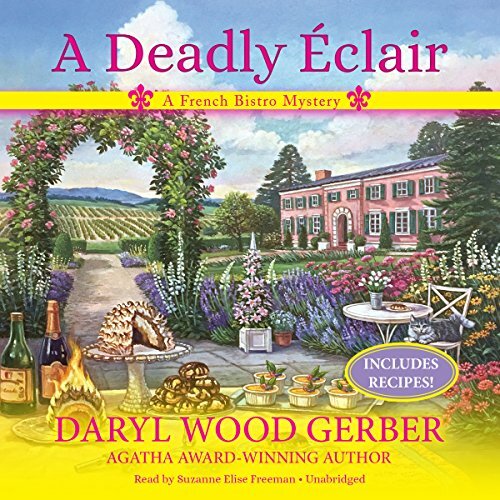 Showing results by author "Daryl Wood Gerber"
It's always been Mimi Rousseau's dream to open her own bistro, but it seems beyond her grasp since she's been chased back home to Napa Valley by her late husband's tremendous debt. Until her best friend Jorianne James introduces her to entrepreneur Bryan Baker. Now, working the bistro and inn until she's able to pay it off and call it her own, Mimi is throwing the inn's first wedding ever. Then Bryan is found dead at the bistro with an éclair stuffed in his mouth. And the fingers point at Mimi. Solid start for a new series!